and watch God answer prayer! We've all said it to a friend in need: "I'll be praying for you!" But the unfortunate truth is that we often forget to ever pray for them again, despite our best intentions. What if you had a system for remembering all the things you need to pray for? What if the system was organized in such a way that you could consistently pray for the many, many needs you have committed to praying for without feeling overwhelmed by it? "The most common cause of unanswered prayer is prayerlessness." 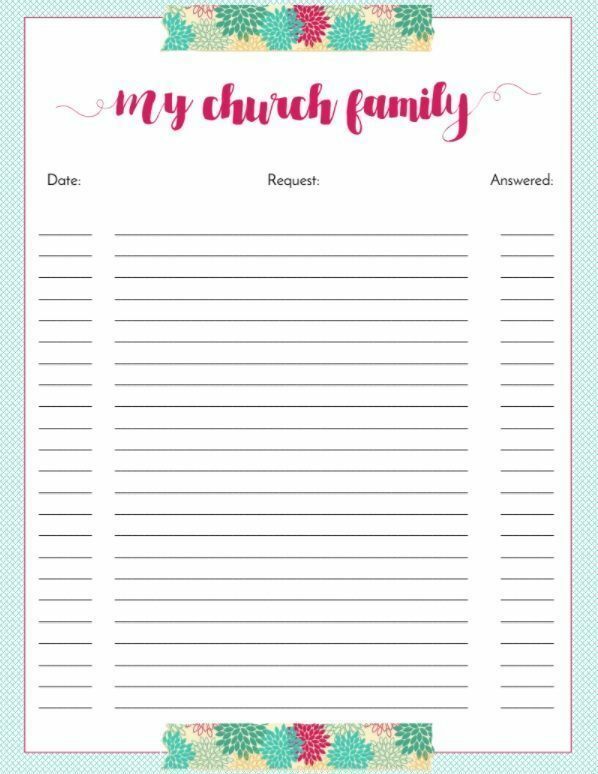 You do not have an organized system for keeping track of prayer requests and answers to prayer. You want to be able to pray for more people and more needs. You want to have a lifelong record of how God has answered prayer in your life. 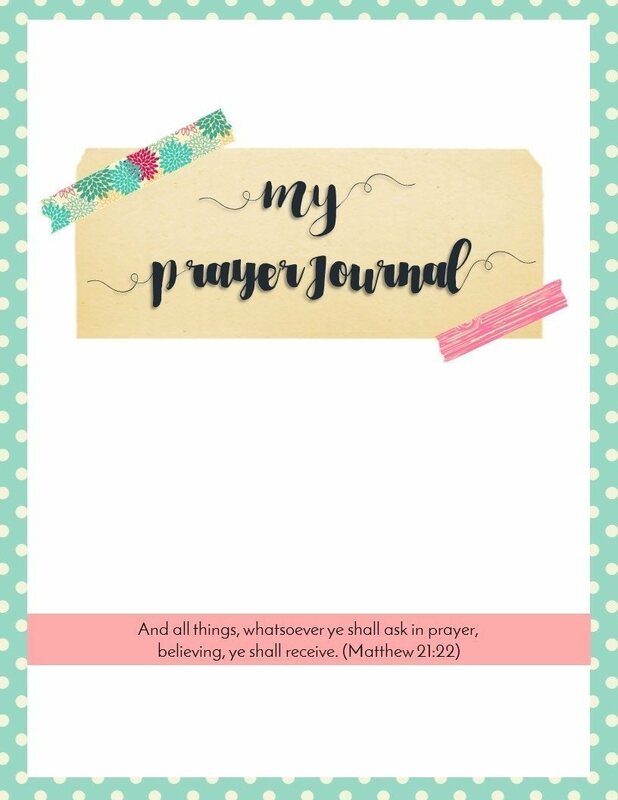 You're not sure how to begin a prayer journal on your own. 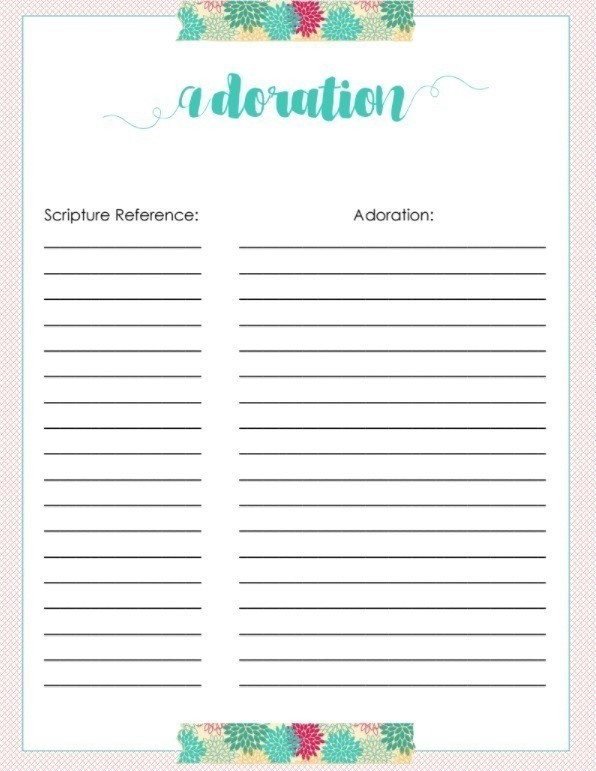 Pages specifically designed to get to know God more intimately and adore him for who he is. Bonus! Purchase the women's version, get the kids' version free! ​Once your purchase is complete, your files will be available for instant download. Thank you so much for your prayer journal! I just LOVE this!! I am SO excited to purchase this packet and use it in my daily life! 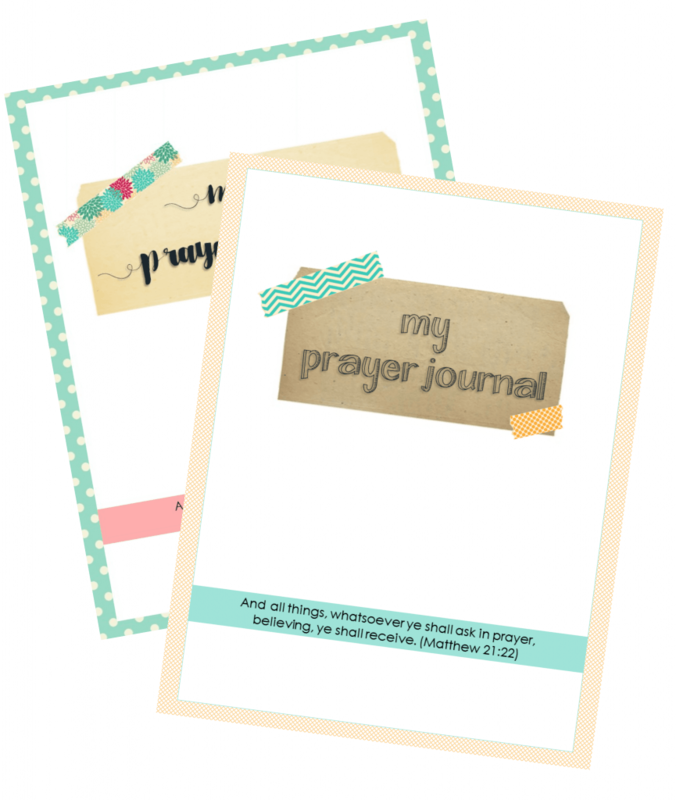 Why should you use My Prayer Journal? 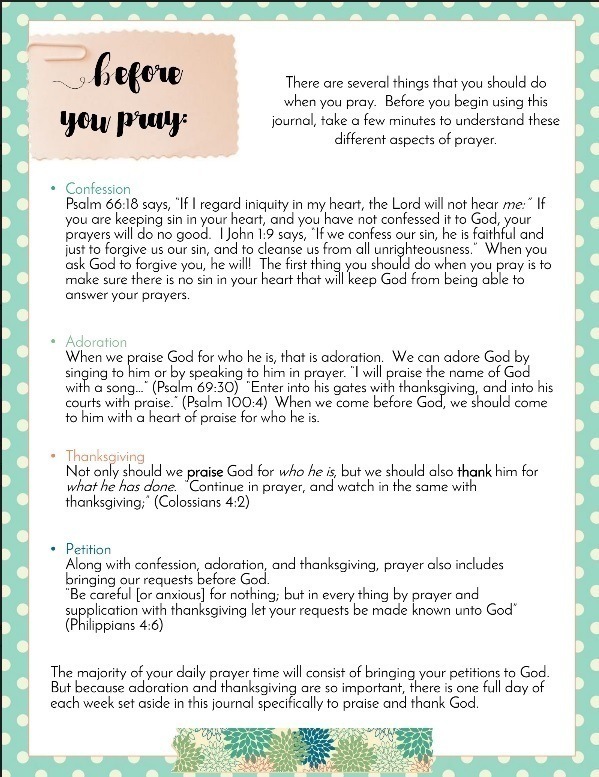 Become more consistent with your prayer life. 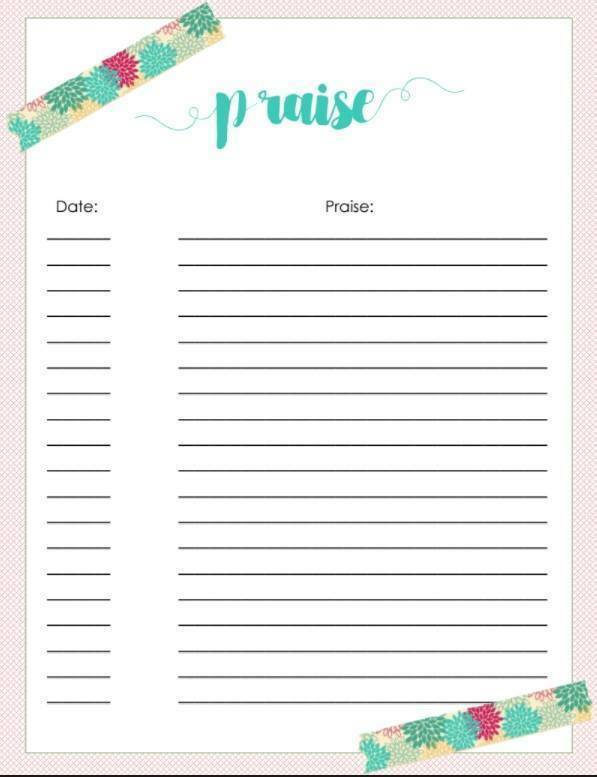 Instead of trying to remember countless prayer commitments you've made, use My Prayer Journal to keep them all in one place. A good system makes for a more consistent prayer life! Have a lifelong record of answered prayer. Every time you write down a prayer requests, you will also have room to record the date God answered that prayer. Over time you will develop a tangible record of the many ways God has worked on your behalf as a testimony to his faithfulness in your life! 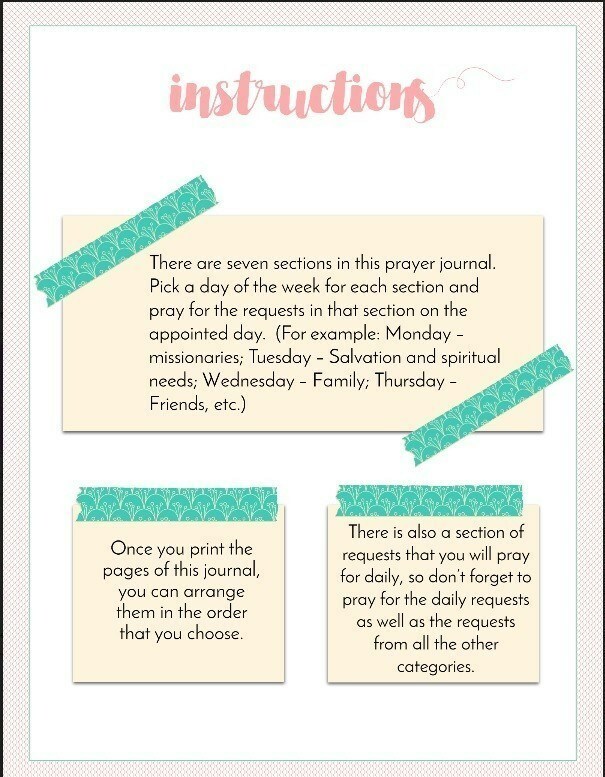 Make your prayer list more manageable. 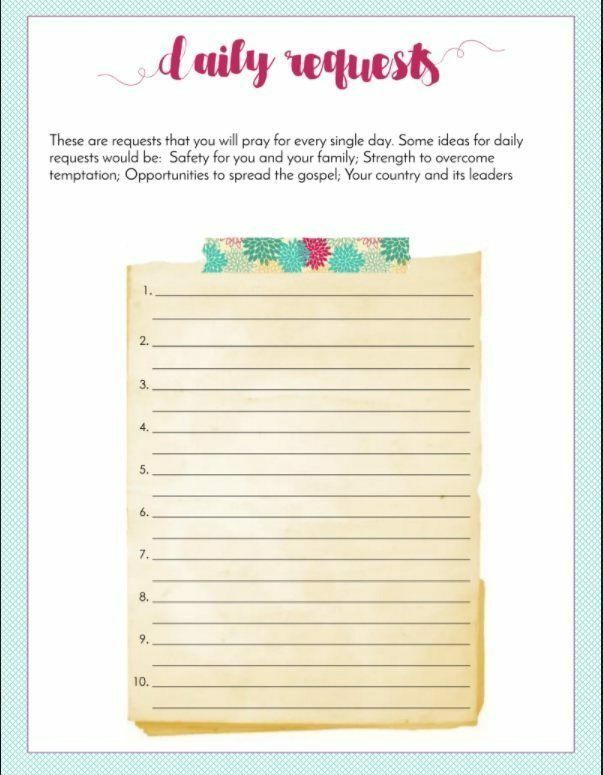 Having a system which divides your prayer requests into specific categories that you can pray for each day ensures that you will consistently pray for each item on your list without becoming overwhelmed. "My mind tends to wander when I pray, so writing things down allows me to focus and pour my heart out more thoroughly." -Bonus! Get the kids' version free with purchase! © 2019 Imperfect Homemaker. All rights Reserved.